A record 19 Grandmasters assembled in Pattaya on Sunday for the 15th Thai Chess Open and showed why they had achieved their status with a near-perfect 18.5/19 start. 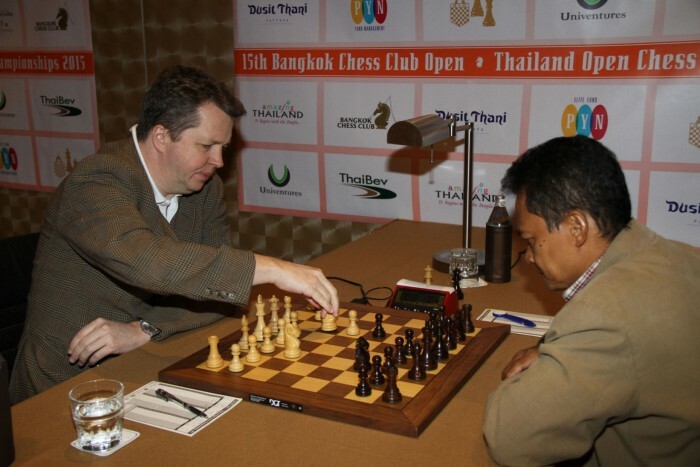 Thailand’s largest and strongest open tournament, organised by the Bangkok Chess Club features world class players such as former World Championship challenger Nigel Short and top seeded Chinese Grandmaster Wang Hao in a field of 190. 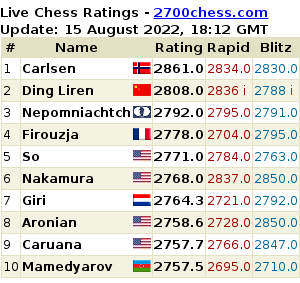 Short was the first Grandmaster to finish, beating Filipino amateur Jude Ulanday with a slashing attack in just 20 moves. In contrast, leading Indian Grandmaster Surya Ganguly was on the brink of defeat against Finland’s Tommy Ilmoni before a faulty attempt to finish the game quickly allowed the Grandmaster to turn the tables. The only Grandmaster to falter in the first round was Poland’s Kamil Dragun who drew with India’s unheralded Dhanabir Singh. Thai fans had plenty to cheer about as the top two Thai players in the tournament, Uaychai Kongsee and Wisuwat Teerapabpaisit – both former Thai Champions – won their first games convincingly. The 2015 Thai Open, a 9 round tournament with a first prize of 100,000 Baht, is being played at the Dusit Thani Resort and continues until April 19, with round 2 beginning at 9am local time on Monday.